Donald Glover played double duty on Saturday Night Live this past weekend, acting as both host and musical guest. (He debuted a new Childish Gambino song, “This Is America,” during the show.) One the many skits he participated in was “80s Music Video,” in which he plays a creepy stalker man named Raz P. Berry who lectures a woman (Cecily Strong) after finding her with another man (Kenan Thompson). 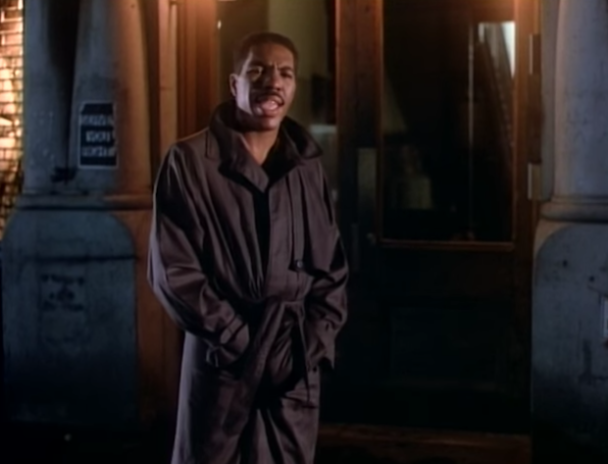 It’s a funny bit and itself, but it’s also a pointed reference to and parody a real music video from 1986, from R&B singer Oran “Juice” Jones. You gotta get on out here with that alley cat, coat-wearing, hush-puppy-wearing crumbcake I saw you with. ‘Cus you dismissed. That’s right. Silly rabbit, Trix are made for kids, don’t you know that? You without me like corn flake without the milk! It’s my world, you’re just a squirrel trying to get a nut.